UPDATE January 2012: This is resolved in version 6 of JetBrains Resharper. "Property value is not valid" with the details containing "Object reference is not set to an instance of an object". I was pretty sure my Data Method was valid, but I spent some time trying to strip out any possible problems with my code. In the end I tried to test my report in a different environment (which I was lucky enough to have set up earlier). The report worked perfectly in my second environment. I then figured out it had to do with Visual Studio and went back to my development environment for a closer look. Lucky for me, one of the first things I did was trying to suspend ReSharper (www.jetbrains/resharper) and that was it. After suspending ReSharper, the DataMethod returned the DataTable as expected and everything was back to normal. I have notified the ReSharper developers about this problem, so maybe one day this will get fixed. In the meantime, I hope this post will sort things out for any other developers out there struggling with the same problem. This is version 5.1.2, and I know there is a 5.1.3 version out there. If any later versions of ReSharper fixes this I will update this post (if I remember). As a side note, ReSharper is my favorite addon for Visual Studio, and if you're working with SharePoint development (Enterprise Portal to be specific), then I'd highly recommend ReSharper. Try it out, you won't regret it! 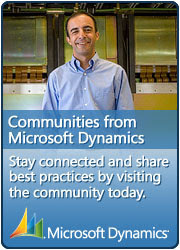 Then again, when working with the Dynamics AX Report Model for Visual Studio, you will simply have to suspend it.